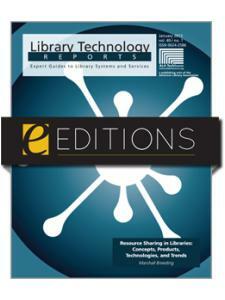 In this issue of Library Technology Reports, Jenny Levine illustrates how librarians can reap positive gains by proactively, creatively, and affordably integrating gaming into the services and programs already offered at libraries. She uses numerous, detailed examples from public, school, and academic libraries. 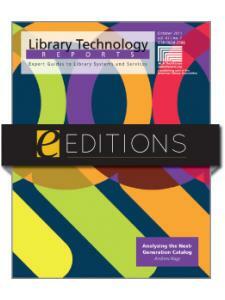 The case studies reveal that gaming programs often turn out to be among the most popular a library can offer. You'll learn how libraries, with creative planning and little money, have incorporated gaming services for a big return on investment. 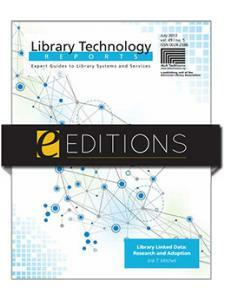 And the appendix section of the report includes materials (librarian-created press releases, real examples of promotional fliers, and staff checklists for game-day events) that librarians can build upon to create a successful gaming program at any type of library—which can engage your community's youth and adult gaming populations. Jenny Levine is the Internet development specialist and strategy guide for the American Library Association's information technology department. She earned her MLIS from the University of Illinois at Urbana-Champaign in 1992 and has been an eminent technology training evangelist for librarians during her career. Levine is a keen advocate for gaming services and libraries, as she is a gamer and has witnessed, through personal observation and study, how gaming services can help members of several generations (particularly younger users) feel connected to the library. She has written two Library Technology Reports on this topic; has organized two ALA TechSource Gaming, Learning, and Libraries symposia; and helps coordinate ALA's National Gaming in Libraries Day each November. Levine also writes about gaming and libraries on a regular basis on her popular blog, The Shifted Librarian. She began the first librarian blog, The Librarians' Site du Jour, in 1995.